John Mauldin, who I consider one of my top financial mentors, recently referenced one of Alvin Toffler’s books as a “groundbreaking“. Good enough for me. 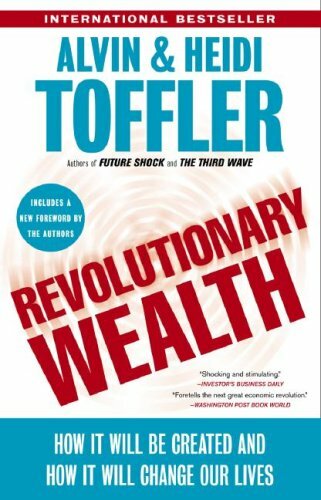 Revolutionary Wealth: How it will be created and how it will change our lives by Alvin and Heidi Toffler reminded me a lot of Thomas Friedman’s The World is Flat. It did a great job summarizing how the world got to where it is and what the future might look like. And as much as I liked this book, I wish I had read it when it came out in April 2006. Lets just say knowing about the current global deflationary recession colors the way you read many of the chapters. If and when Alvin and Heidi Toffler write another book, I’ll be sure to read it without waiting 2-3 years.